Drivers who are distracted by their phones are a huge problem that causes thousands of accidents each year. Still, 8 out of 10 drivers use their phone whilst in traffic which is quite alarming considering that a 2-second distraction is long enough to increase the likelihood of a crash by over 20 times. Now, just before Christmas – one of the busiest holidays of the year on our roads – Audi is presenting a solution. Instead of asking drivers to stop using their phones or block the use of them while in the car, they are asking the world's website hosts to help out making the roads safer. The project is called Safety Code which is a free code snippet that can be used by anyone who has a website. By applying the code to their website’s scripts, the site analyses the visitors’ GPS-position to determine if they are driving. If they are at a speed over 20 km/h, the site will be blocked until the visitor confirm that they aren’t the driver of a vehicle in order to continue to surf the site. Safety Code is the first solution where website hosts can contribute to a safer road environment. 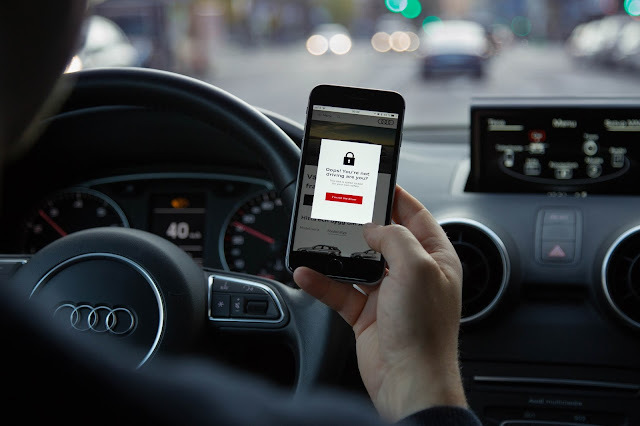 Audi.se is already using the code and today Audi is releasing the code to the public at https://safetycode.se/eng with the hope that more sites will follow.